Reports Detail Slow Mine Blast Response Nearly one year after the nation's worst mine disaster in four decades, records reveal a slow and tepid initial response to the dire emergency at Massey Energy's Upper Big Branch coal mine. Nearly one year after the nation's worst mine disaster in four decades, records reveal a slow and tepid initial response to the dire emergency at Massey Energy's Upper Big Branch coal mine in West Virginia. Twenty-nine mineworkers died on April 5, 2010, as a fierce explosion ripped through underground entryways, turning corners and splitting like a "T." The blast stretched two miles in one direction and three miles in the other, toward the entrance to the mine. "I was about 300 feet [inside the mine]," recalls Stanley "Goose" Stewart, during a gathering at the National Consumers League last week. On the day of the blast, he was headed in for his shift in a mantrip, or shuttle car. "And I saw a bright light. Brightest light I ever saw." The emergency response that followed is documented in nearly 20 hours of recorded emergency radio traffic and phone calls, as well as printed 911 logs and transcripts, and notes from the command center at the mine — all obtained by NPR through government open records requests. The recordings and documents suggest two failures in Massey Energy's response, according to Davitt McAteer, a former federal mine safety chief who is leading an independent investigation of the Upper Big Branch disaster. "One is timely reporting of an extremely serious situation. And second is the accuracy of that initial report, which underplayed the circumstances of what was going on." 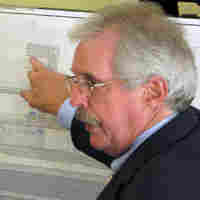 McAteer has gathered and reviewed many of the same recordings and documents as part of his investigation. The initial report of a problem was phoned in to West Virginia's Mine Industrial Rapid Response hotline at 3:27 p.m. 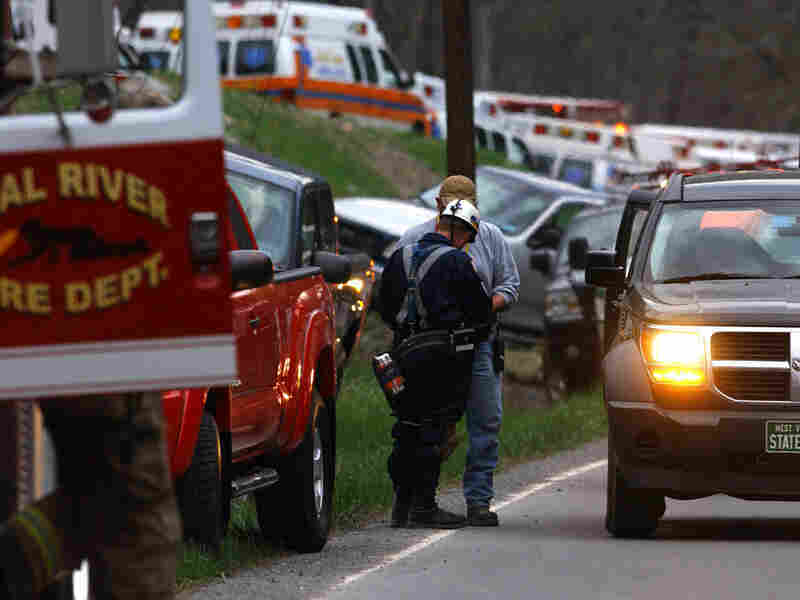 The NPR News Investigation team outlines the events on the day of the Upper Big Branch mine explosion and news events related to Massey Energy, the mine operator. "I want to report an emergency," says Jonah Bowles, safety director at Massey Energy's Marfork Coal Co. There is no sense of urgency as the hotline operator slowly takes down a name, phone number, name of the mine, location of the mine and more, often asking for spellings as the call lumbers along. Bowles is asked what time the incident occurred. "It was reported at 3:27," he replies. But that's 25 minutes after the official time of the blast, which is 3:02 p.m., according to the federal Mine Safety and Health Administration. Bowles is kept on the line for nearly a minute and a half before the call gets to the point. "It is an air reversal on the beltline and CO [carbon monoxide] 50 to 100 parts per million," Bowles reports calmly. Two minutes into the call the hotline operator asks, "Anybody injured?" "No," Bowles replies. "The mine is being evacuated at this time." After another minute and a half, the call ends with a cheery, "You have a nice day" from the hotline operator. Bowles then phoned an MSHA emergency hotline with the same information. "Air reversal on the beltline" doesn't sound as dramatic as what actually had happened at the mine. "It became like a hurricane [with] debris blowing," says Stewart, who was about three miles from the ignition point of the blast. "We stumbled out, turned and looked and there was buckets and what have you flying out of the portal. ... Before I made it out I felt like my feet were going to leave the ground like I might go airborne." Other witnesses reported the reversal of a massive mine fan, which blows fresh air into the mine. "To the people on the scene," says attorney Mark Moreland, this "was a very strong indication that something disastrous had happened inside the mine." Moreland is privy to some aspects of the disaster investigation because he and his wife, Rachel, represent the interests of miners in the probe. The Morelands also represent some victims' families who are suing Massey Energy for wrongful death. Bowles' carbon monoxide report was also an indication of serious trouble. Fifty to 100 parts per million of the gas mean "they've got a fire somewhere," says Robert Ferriter, a mine safety expert at the Colorado School of Mines. "A methane gas explosion could have also produced that much carbon monoxide." Massey Vice President and General Counsel Shane Harvey told the Charleston Gazette in September that carbon monoxide alarms at the mine went off at 3:08 p.m.
State and federal regulations require mine accident reporting within 15 minutes, a requirement Massey failed to meet. State and federal agencies respond by mobilizing mine rescue teams and other emergency resources. "We have learned over the years that tardy notification or late notification is an impediment to efficient mine rescue," says McAteer. Harvey says in a written statement that Massey initially reported "possible serious problem[s]. ... However, it wasn't until later that anyone understood that an explosion (which must be reported within 15 minutes) had occurred." Actually, federal regulations are clear. "Any accident" must be reported within 15 minutes. And the kind of carbon monoxide inundation reported by Massey is specifically listed in the applicable regulation as a reportable "accident." The recordings and records obtained by NPR also show that Massey's call to 911 wasn't placed until 4:22 p.m., nearly 90 minutes after the explosion and almost an hour after the initial report to the state and MSHA. 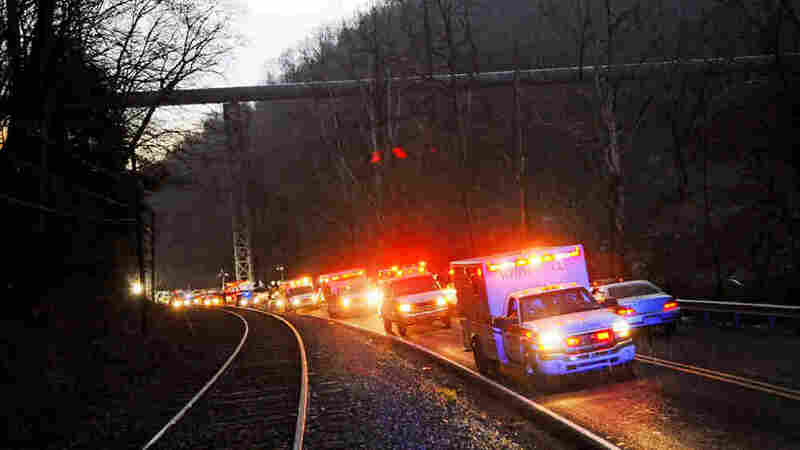 The 911 center in Raleigh County, W.Va., describes the call in its "incident detail" logs. The agency refused to provide NPR its 911 recordings, citing ongoing civil and criminal investigations. "Possible 10 injured," the notes say. "Unsure of cause of injury. Advised subjects are still underground. Starting rescue effort at this time." The Raleigh County dispatcher immediately calls in units from Whitesville in neighboring Boone County, which is close to the mine. The Boone County Emergency Management Agency provided recordings of its emergency radio traffic. "Got a possible roof cave-in," the dispatcher calls out. "Possible 10 people inside. Needs units to respond to Performance Coal," the Massey subsidiary that operates Upper Big Branch. Ambulances, EMTs and sheriff's deputies arrive at the mine just in time. Within five minutes, David Hodges, the assistant fire chief in Whitesville and the incident commander at the scene, reports, "I've got some patients surfacing. Looks like I've got numerous unresponsive." Stewart is among the nine miners that are brought out. Seven are dead or dying. Two are injured, one seriously. Stewart says he tries to help. "It felt like a combat zone. Your dead buddies are laying all around you," he recalls. Stewart and other miners laid out blankets so the bodies of their friends wouldn't rest on gravel. As a measure of respect and dignity, Stewart lifted the arms of one colleague and laid them across his chest. "After that," Stewart said, "I walked over and sat down and I just cried." "They're still bringing fellows to the surface," Hodges reports, sounding increasingly alarmed. "It's a total disaster. ... I need all the resources you can get me." Greg Lay, the emergency management director in Boone County, is disturbed but not surprised by what he considers Massey's delayed call for emergency help. "We have mines around here that are very cooperative and we have mines that are pretty tight-lipped," Lay says, noting he has more than 80 mining operations in his county. "I would have to say that Massey has a history, with my experience, to be pretty tight-lipped when it comes to just anybody being on their property at all," including emergency medical personnel. Massey's Harvey did not respond to a question about this alleged late reporting of emergencies. But Harvey rejects the notion that the 911 call was late. "It took a significant amount of time to enter the mine and determine that emergency responders were needed," Harvey says. The first injured miner was encountered approximately 1.6 miles underground." Lay notes that even if emergency crews arrived earlier, they would have waited on the surface for victims. "It's a whole other world when it comes to doing rescue underground," Lay says. "We do not go underground." That work is reserved for specially trained mine rescuers. 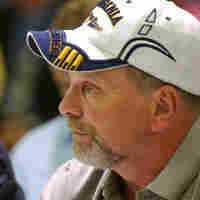 And it appears Massey began deploying two of its mine rescue teams as early as 3:30 p.m., a half-hour after the blast. Eight Massey managers and miners also rushed in on their own and found the injured and dying miners before mine rescuers arrived. Both Lay and McAteer conclude an earlier 911 call would not have likely made a difference in the survival of victims. They would not have been treated or transported any sooner. McAteer is still concerned because the timing may not be advantageous next time. "Tardy reporting is an impediment to efficient mine rescue," McAteer says. "We need to have these things done and we need to have them done in a real time." McAteer adds he'll have more about why these delays occurred in his final report on the disaster. No date has been set for its release. NPR's Nathan Rott contributed to this report.